Information below taken from Europa World Plus, an online version of Europa World Year Book. Europa World Year Book is one of the world’s leading reference works for political and economic information in more than 250 countries and territories. Internationally acclaimed as the man who coined the term ‘genocide’, Raphael Lemkin was born to Jewish parents in Eastern Poland in 1901. Ironically, it was not the persecution of his own people which led Lemkin to invent the phrase and dedicate his life to fighting for its eradication. This struggle did not start, as might be expected, after the atrocities of the Second World War but some years before they had begun. 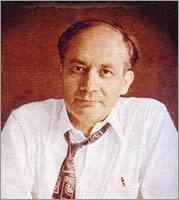 Growing up, Lemkin was educated at home along with his two brothers. He went on to study philology at the University of Lwów before deciding on a career in law. He gained a doctorate from the University of Heidelburg in Germany and in 1929 began teaching at Tachkimoni College in Warsaw. He became a public prosecutor and for the next five years represented Poland at conferences all over the world. A prominent international figure, Dr. Lemkin also served on the Polish Law Codification Committee and helped draft the criminal code of a newly independent Poland. During 1933, Dr. Lemkin was deeply disturbed by the massacre of Christian Assyrians by Iraqis. His distress was compounded by earlier memories of the slaughter of Armenians by Turks during the First World War. His unease regarding these events led the international jurist to begin examining these acts as crimes in an effort to deter and prevent them. In that same year he presented his first proposal to outlaw such ‘acts of barbarism’ to the Legal Council of the League of Nations in Madrid. Despite his efforts, the proposal failed and his work incurred the disapproval of the Polish government which at the was time pursuing a policy of conciliation with Nazi Germany. He was forced to retire from his public position in 1934. Undeterred, Dr. Lemkin continued his work through his private law practice until the German invasion of Poland in 1939. The start of the Second World War and the atrocities infamously associated with it led Dr. Lemkin to experience first hand the very acts he was working to prevent. Dr. Lemkin was wounded while fighting Nazi forces outside Warsaw. He hid in the Polish forests for six months before finally escaping to Sweden by way of Lithuania and the Baltic Sea. This journey saved his life. He and his brother Elias were the only members of the forty-strong Lemkin family that survived the Nazi occupation. Now a refugee in Sweden, Dr. Lemkin worked as a lecturer at the University of Stockholm, using his time in exile to study Nazism from the standpoint of jurisprudence. He analyzed the legal decrees that had allowed the Nazi occupation and identified the instruments used to systematically eliminate a people. He labelled this premeditated crime ‘genocide’: the Greek prefix genos meaning ‘race’ and the Latin suffix cide meaning ‘killing’. His work was later published in 1944 in the landmark book Axis Rule in Occupied Europe. His analysis was used as one of the bases for determining the Nuremberg trials progamme in 1945, where he served as legal adviser to the U.S. Chief Prosecutor. The recognition of genocide in the Nuremberg trials was a considerable achievement. However, the trials handled cases of war guilt only, making genocide in times of peace not punishable under those terms. Unsatisfied with this result, Dr. Lemkin resolved to carry on his campaign to establish genocide as a crime under international law, regardless of peace time/war time standing. He presented a draft convention on the prevention and punishment of genocide to the Paris peace conference in 1945. As in 1933, his proposal failed. He had no funding, no office, nor did he represent any government or accredited organization. Yet with the dogged determination that had become characteristic of Dr. Lemkin’s life, he continued his struggle. His persistent and persuasive lobbying paid off the following year when a further resolution in favor of an international convention was put before the United Nations. The resolution was approved and Dr. Lemkin became an adviser in the writing of an international treaty to that effect. On December 9th, 1948, the Convention on the Prevention and Punishment of the Crime of Genocide was adopted unanimously by the United Nations General Assembly. It represented a triumph in the struggle that Dr. Lemkin had begun some fifteen years earlier. Once the convention was in place, Dr. Lemkin continued to lobby relentlessly for its ratification. He did so until his death in 1959. Dr. Raphael Lemkin was twice nominated for the Nobel Peace Prize for his work and was honored with a number of other awards which included the Grand Cross of Cespedes from Cuba in 1950 and the Stephen Wise Award of the American Jewish Congress in 1951. On the 50th anniversary of the Convention entering into force, Dr. Raphael Lemkin was also honored by the UN Secretary-General as an inspiring example of moral engagement. It is Dr. Lemkin’s oustanding courage and determination to protect all those who are victims of targeted violence that we honor in naming our asylum shelter the “Lemkin House”. We hope to honor his legacy by following his example of ‘moral engagement’ and providing relief and refuge to those whom Dr. Lemkin spent his life fighting so hard to defend. His autobiography, unpublished in his lifetime, is now available from Yale University Press. It is edited by Donna-Lee Frieze, and entitled: Totally Unofficial: The Autobiography of Raphael Lemkin.